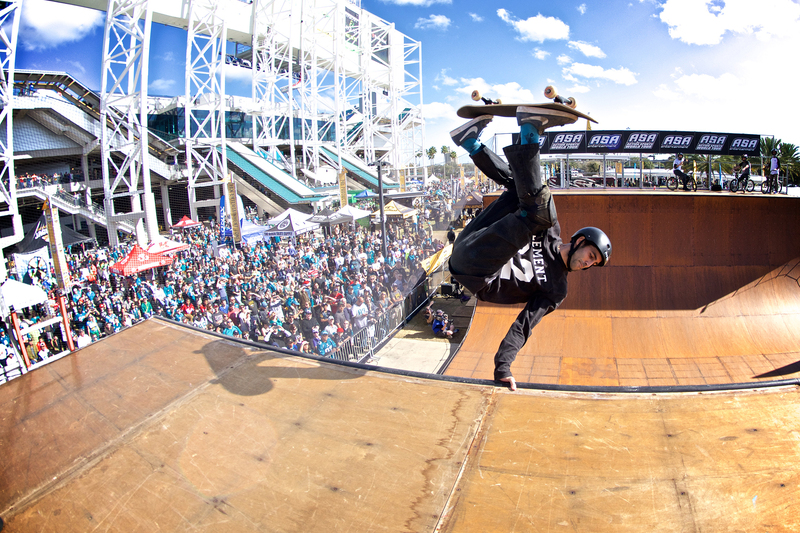 The ASA Action Sports College Tour is an interactive action sports and lifestyle series that visits large Universities in a variety of top markets during both the Spring and Fall semesters. The Tour provides on-campus entertainment, sampling, promotion, awareness, sales, and experiential opportunities for brands targeting 18 – 24 year old consumers at schools which average more than 15,000 students in size. 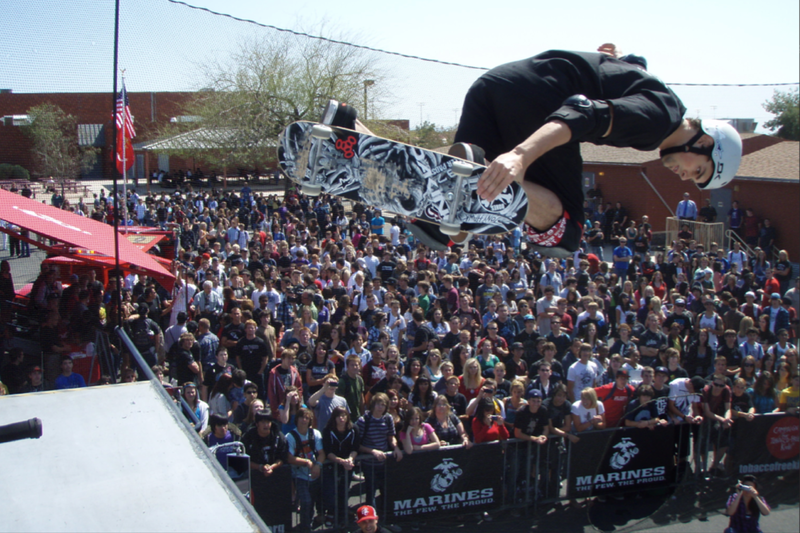 The program travels across the country with several of the world’s top pro skateboarders, inline skaters, BMXers, and freestyle motocross riders performing mind-boggling stunts on state-of-the-art ramps, and interacting with both students and brands. 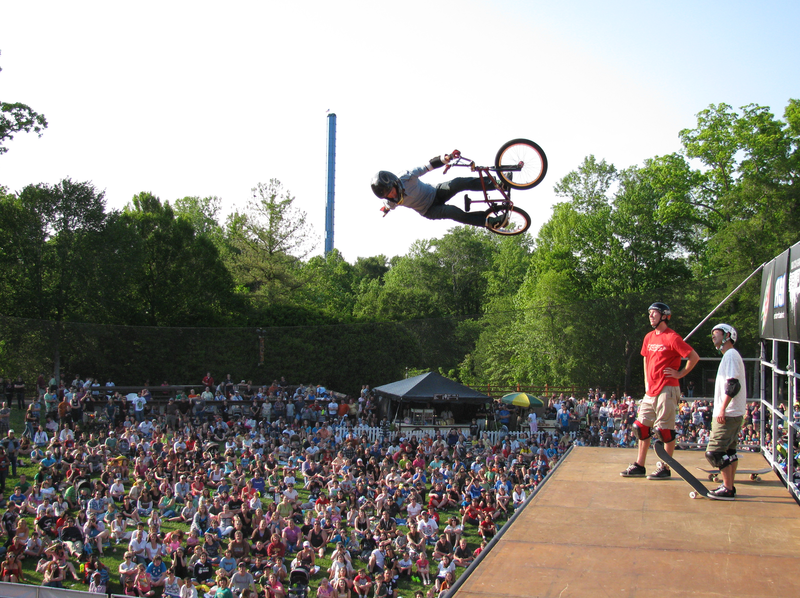 The show utilizes the “cool factor” of action sports and the credibility of the top pros to communicate a powerful brand message in an uncluttered and completely captive environment. Tour markets and timing change each year and are determined by a combination of sponsor and University needs.